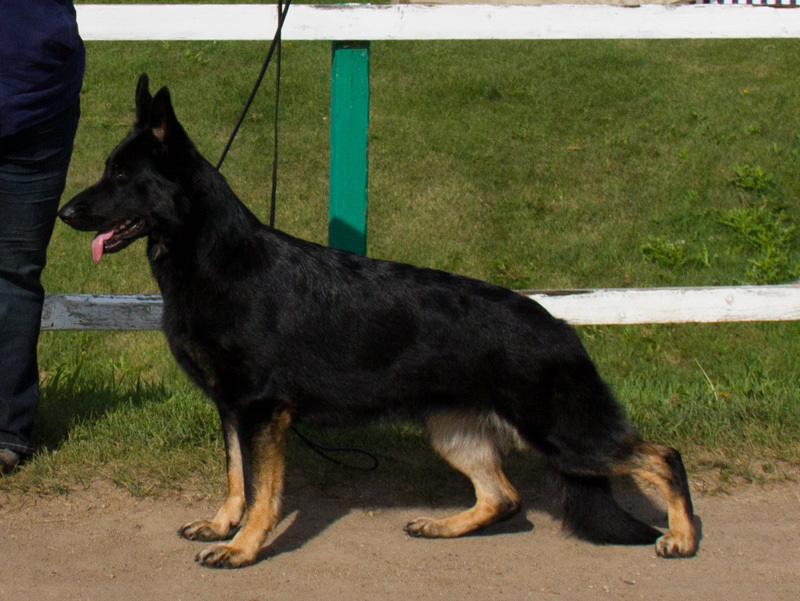 deep chest, level back, moderate angles and a sweet and loving personality. 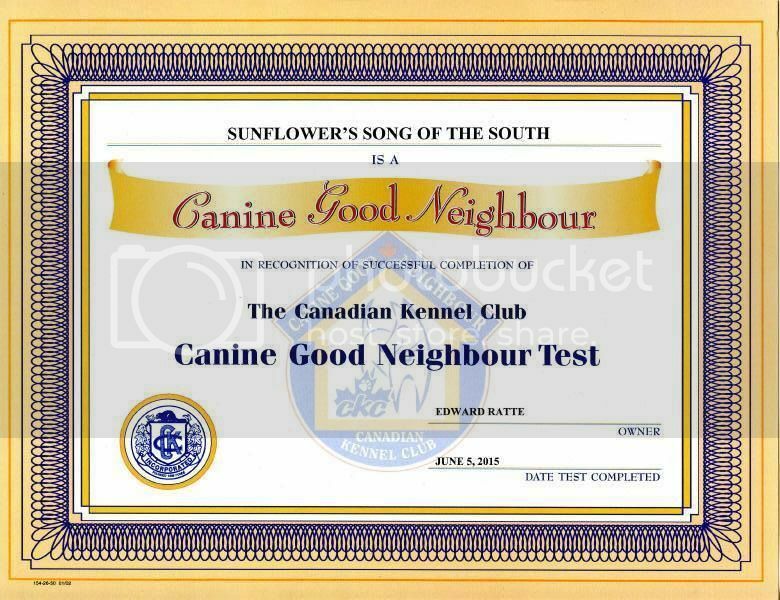 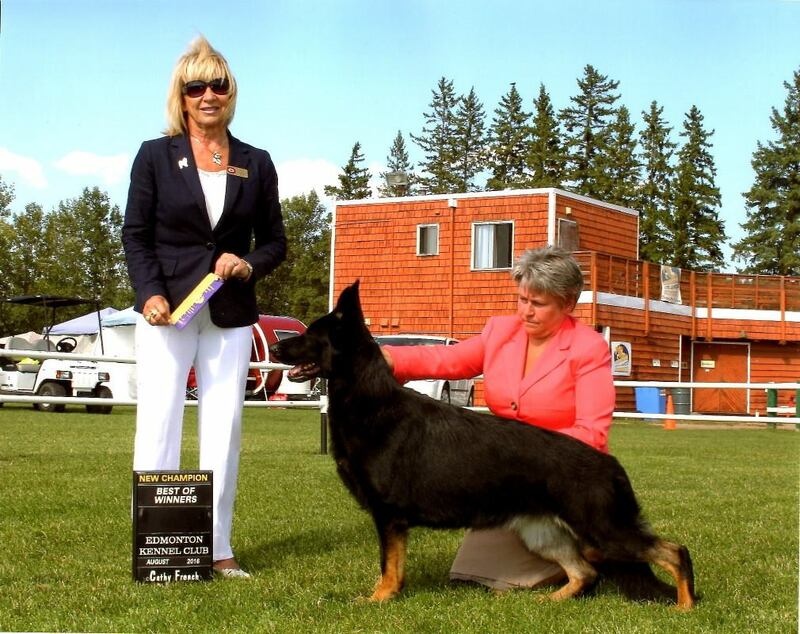 "Nala" completed her Canadian Championship in August of 2016.
completed her Canine Good Neighbour title the last time she was shown. 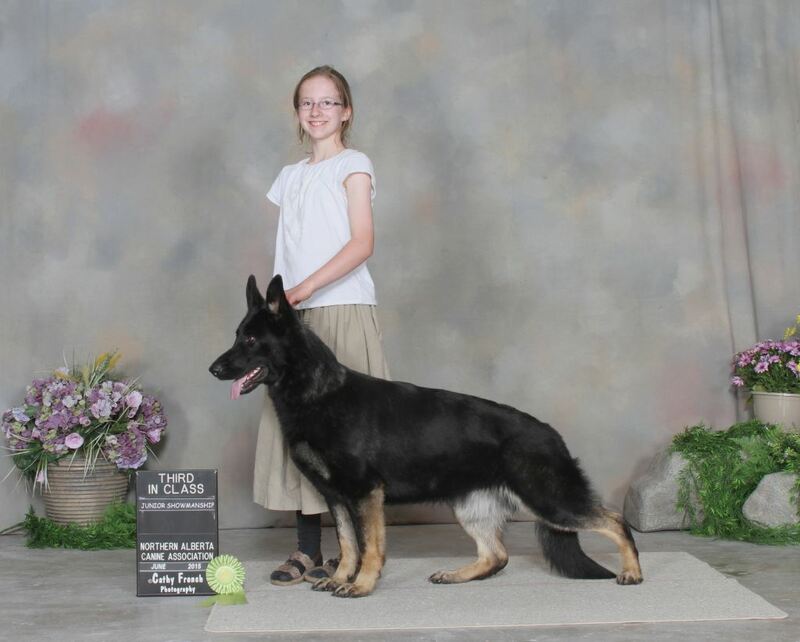 "Nala" has also enjoyed success as a juniors dog to her owner's daughters. 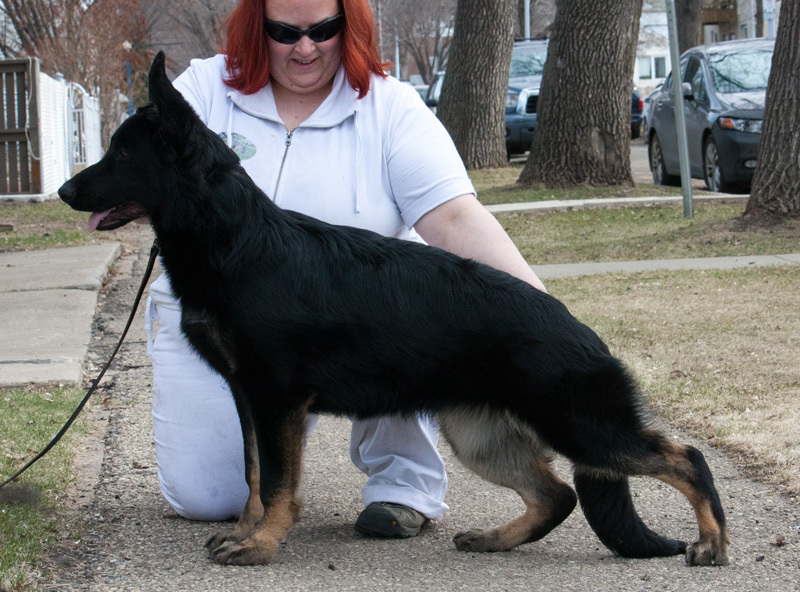 "Nala" is owned by Gail and is OFA certified Good hips/clear elbows. 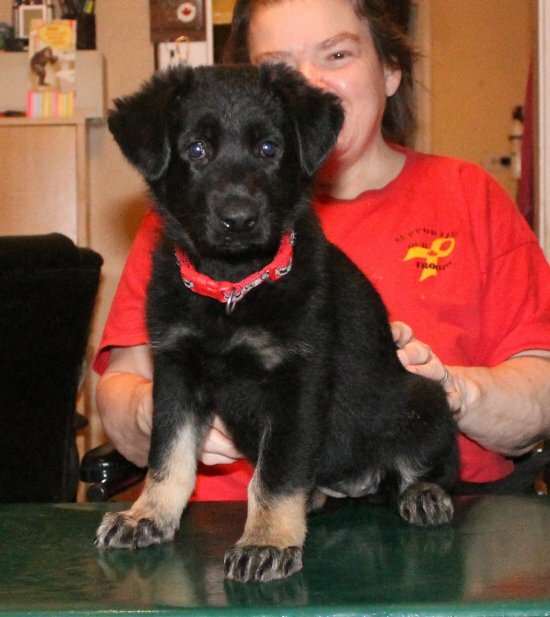 Pictured below is "Nala" at 7 weeks.